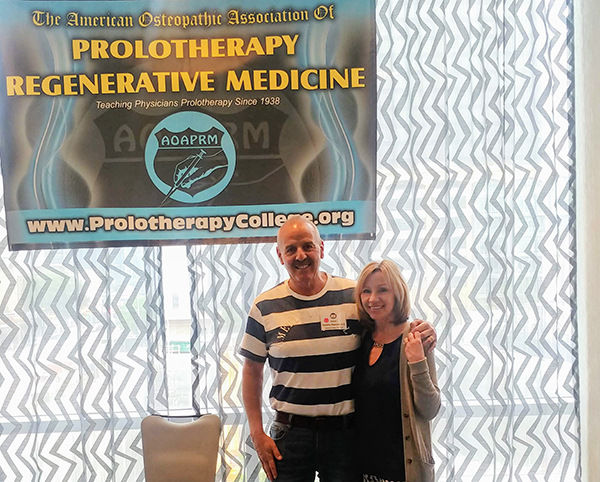 Recently Dr. Tim Speciale and Faith had the privilege of attending the World Prolotherapy/Regenerative Medicine Conference put on by the American Osteopathic Association of Prolotherapy/Regenerative Medicine in Austin, Texas on April 3rd. 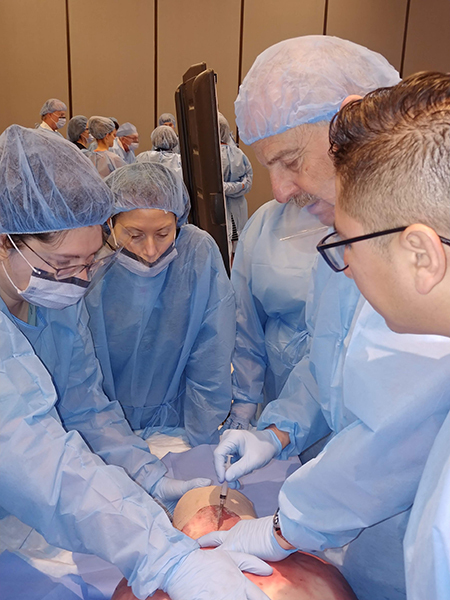 The conference sought to inform practitioners and students on core prolotherapy, unique integrative pain treatment techniques and held a very popular cadaver lab that educated on all joints in the body. Dr. Speciale was a Clinical Instructor teaching a Spinal Cadaver lab to other physicians. He is pictured here with his wife and Medical Assistant Faith at the conference. This entry was posted in Continuing Education, Speaking Engagements. Bookmark the permalink.